Zebra ZD620-HC Thermal Transfer Printer: The ZD620-HC rises above conventional desktop printers with premium print quality and state-of- the-art features. The ZD620-HC is designed specifically for healthcare with disinfectant-ready plastics, a sealed button interface and a healthcare-compliant power supply. 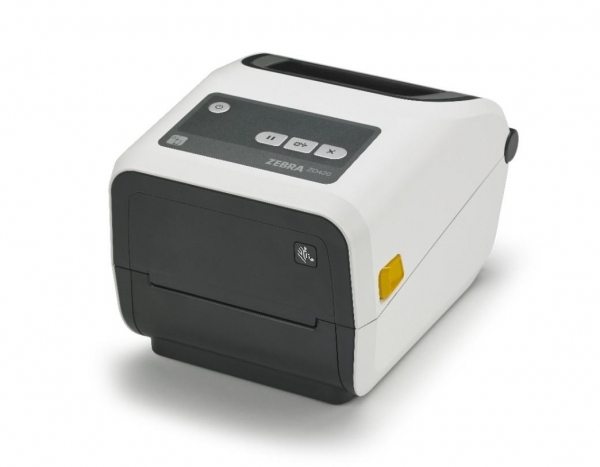 This premium desktop thermal printer brings advanced industrial printing quality to a compact desktop printer, delivering the print speed, print quality and printer manageability you need to boost productivity, accuracy and quality of care.